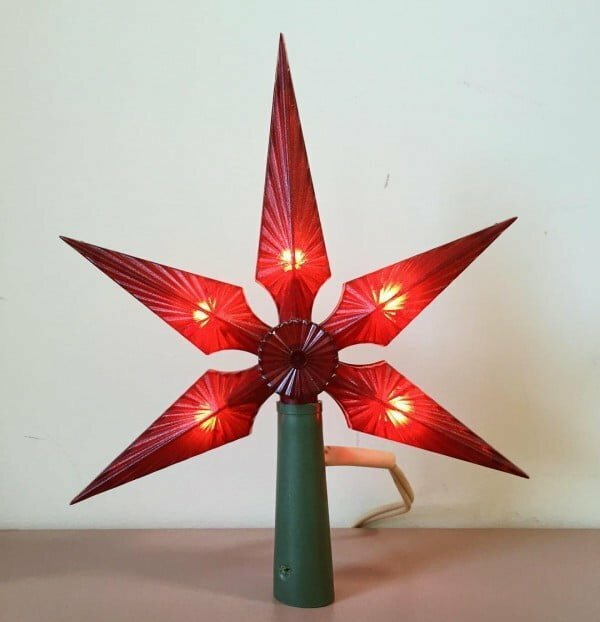 Want to make your Holiday decor even more unique? 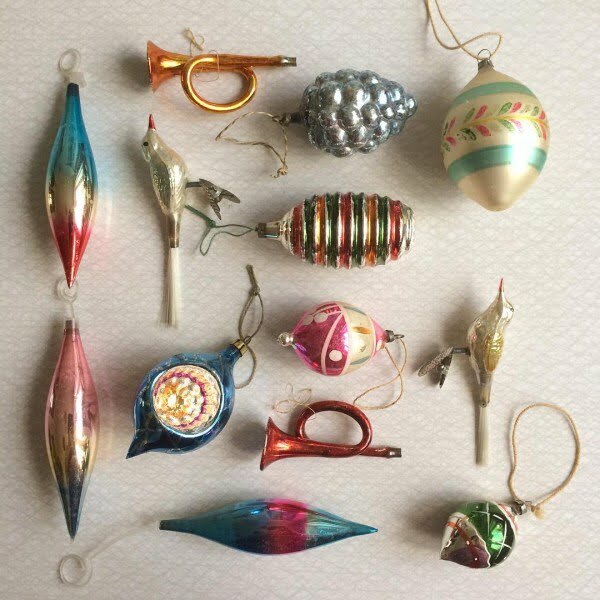 Add some of these vintage Christmas decorations from the 1950s, 1960s, 1970s, and 1980s. 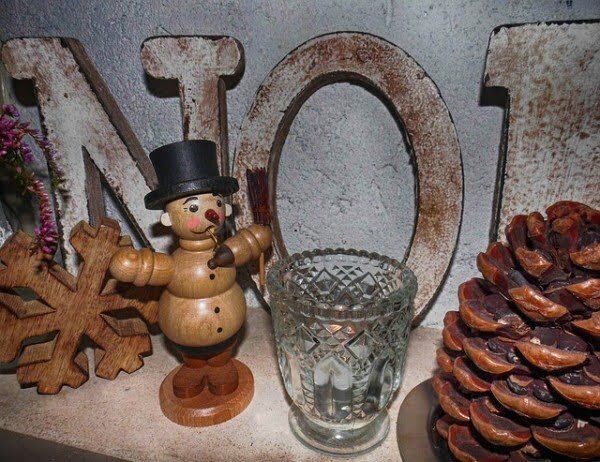 If there’s one way to make Christmas decor more unique, it’s using the vintage decorations. We’ve seen vintage items everywhere in home decor in recent years. They’re being used to add character and personality to interiors. And the Holiday season can benefit from it greatly. 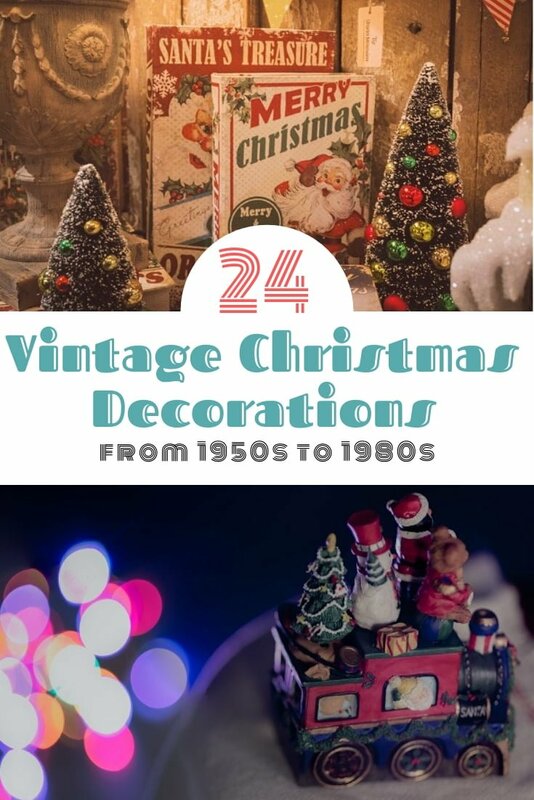 Vintage decorations will bring a lot of nostalgic sentiments and add substance to your Christmas tree decorations, mantel vignettes and all around the house. Even if you add just one item, it can quickly become the star of your entire decor. So check out these 24 magical ideas and consider adding something like that to your festive home. 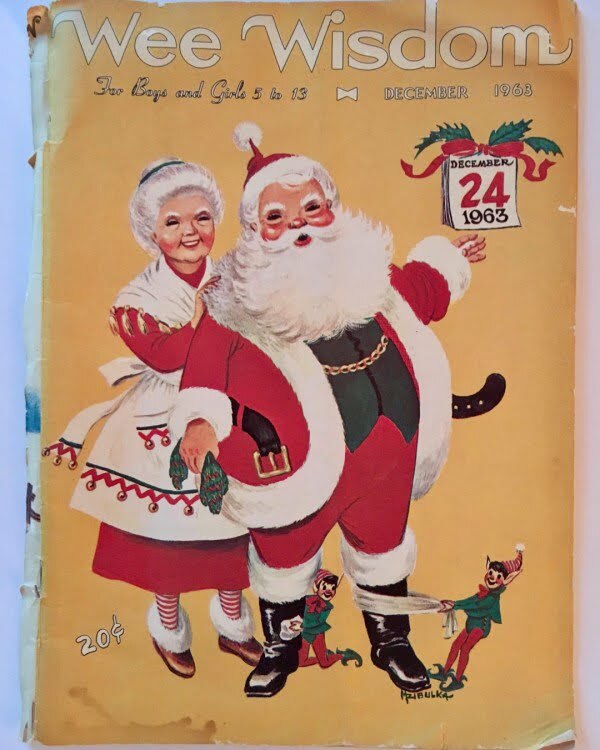 There may be no other sentimental way as decorating with vintage Christmas books. They give that warm nostalgic feeling of days gone by when everything was much simpler. Not to mention, vintage books usually are well designed and are trendy as we see more and more vintage items used in modern decor. 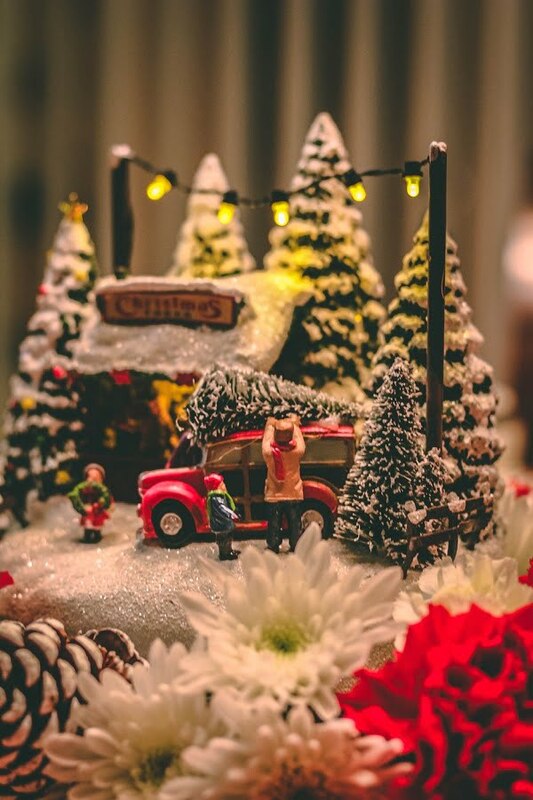 Christmas villages are so cute as decorations. And they are even cuter in the vintage style. Create one in your home on a fireplace mantel or under the Christmas tree for some magical mood. There are so many Christmas tree ornaments in so many styles. But there are few as heartfelt as the vintage ornaments. They add substance to the tree decor and create a wonderful Holiday spirit. You know, a wooden horse was one of the favorite gifts to kids back in old days. Or at least that’s what we see in the movies. Whatever the case, they are wonderful as Christmas ornaments. 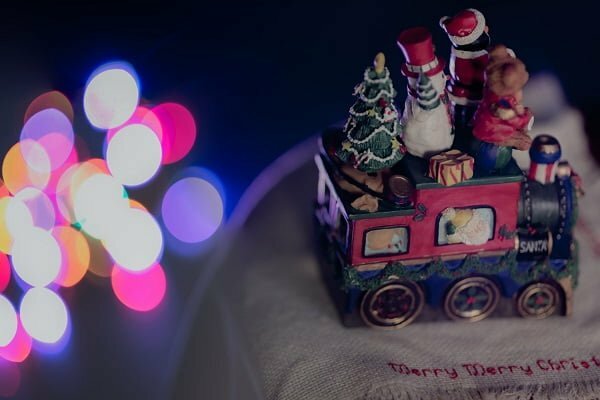 A tiny Christmas train is another great vintage decoration for your choice. 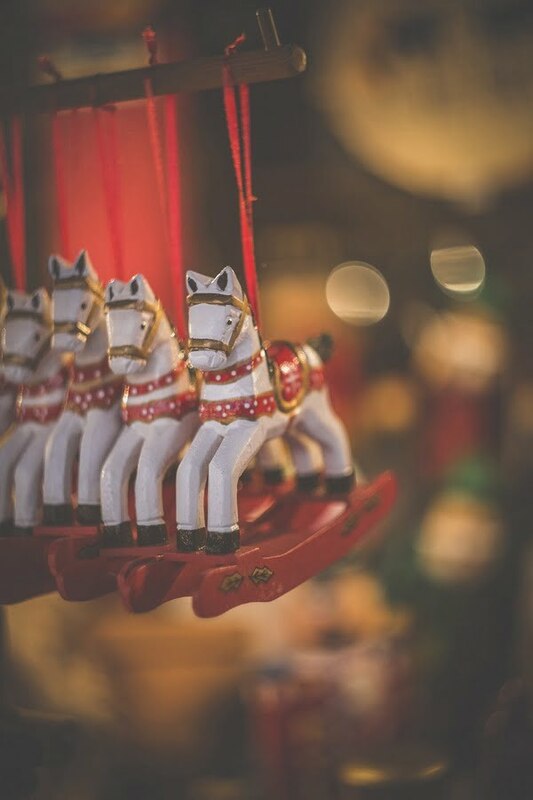 It has as much sentimental value as a wooden horse and adds variety to your Holiday setup. There’s no Christmas without a wreath. And it can be a vintage too. Shown here is a wreath made of twigs and paper flowers. You can make them in many more styles too. 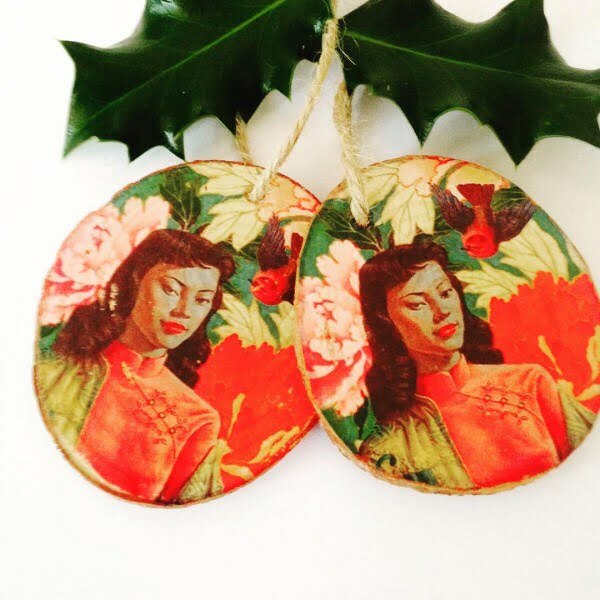 Vintage wooden Christmas ornaments are so cute. You can always tell there’s so much detail in these handmade crafts. So anytime you see any on a flea market, make sure to grab them. These are genuine glass Christmas balls from the 1970s. And they are so charming. 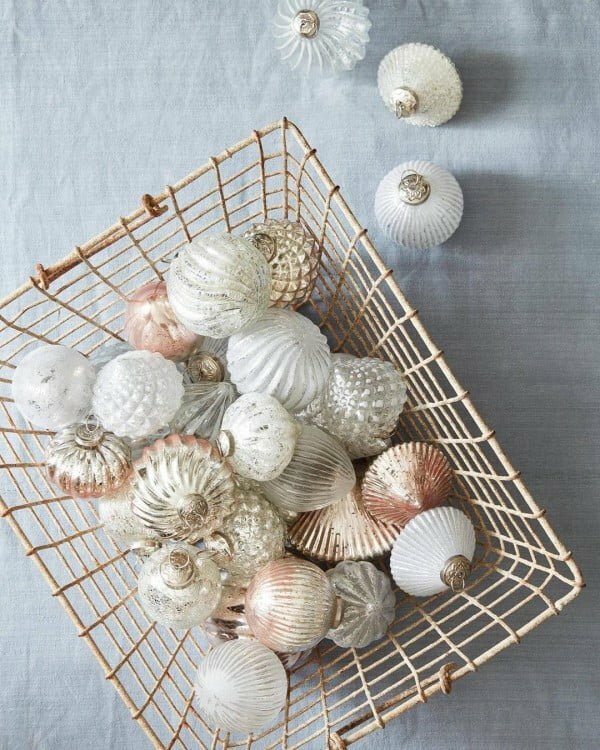 It’s the perfect way to add more substance to your Holiday decor. 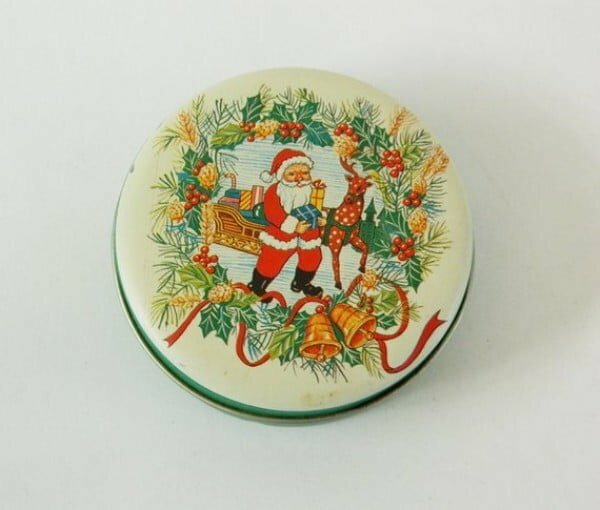 Do you remember those awesome tin boxes of candy and cookies? If you happen to be a kid of the 80s, you’ll know there was no Christmas without them. If you’re not, these boxes make really cool vintage decorations anyway. 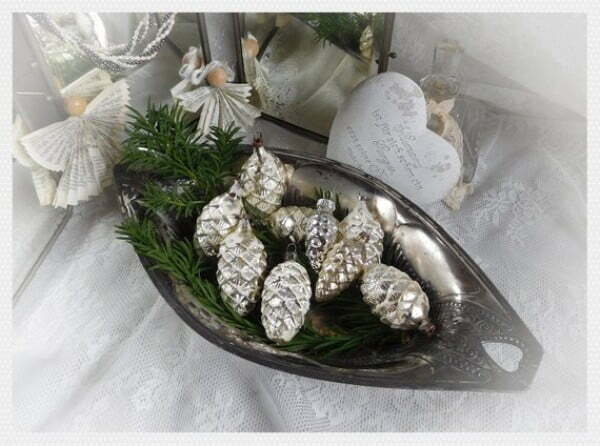 Straight from the 50s, these glittering silver fir cones are pure awesomeness of vintage Christmas decorations. 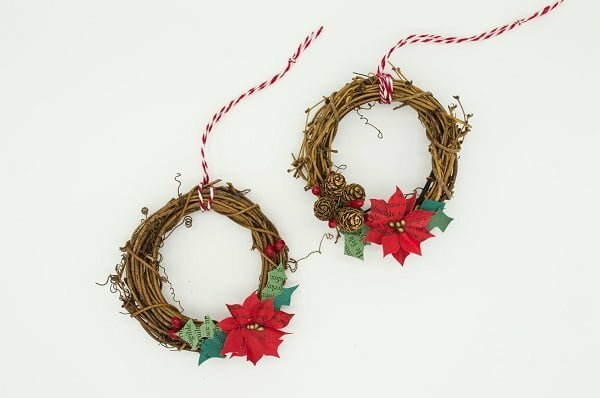 Anytime you see something like this, jump on the deal and add them to your evergreen Holiday decor stash. They’ll never go out of style! Possibly ranging from the 1950s to the 1970s, these glittering glass baubles make up a set of plain and patterned ornaments of different shapes, style, and ages. 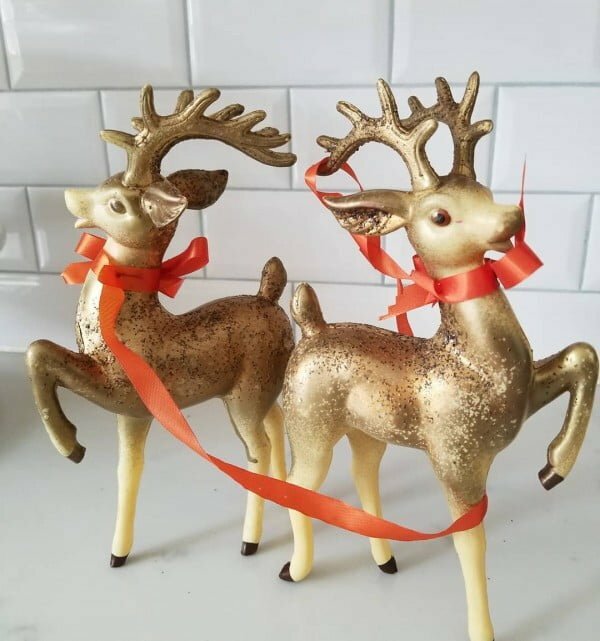 They are sure to add vintage Christmas magic to the room. The vintage Christmas icicles are the perfect decorations for infusing style and festivity into a room. They can be used to decorate a fir tree and can add interest to twigs strategically placed around the room. 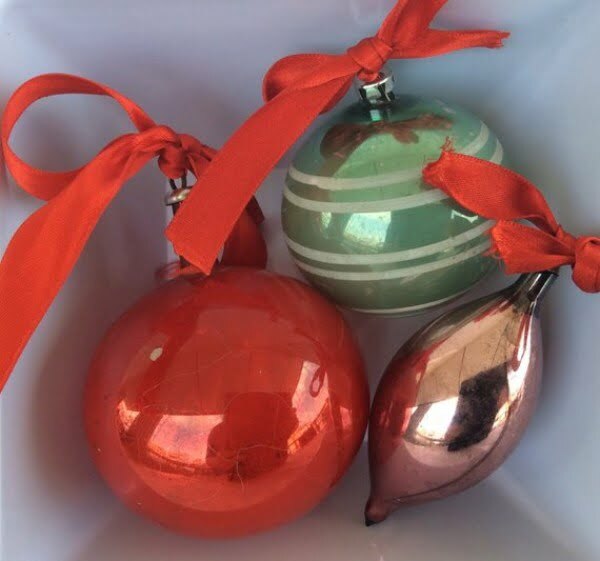 These three ornaments are combined to create a set of vintage Christmas baubles in a pink and gold color scheme. 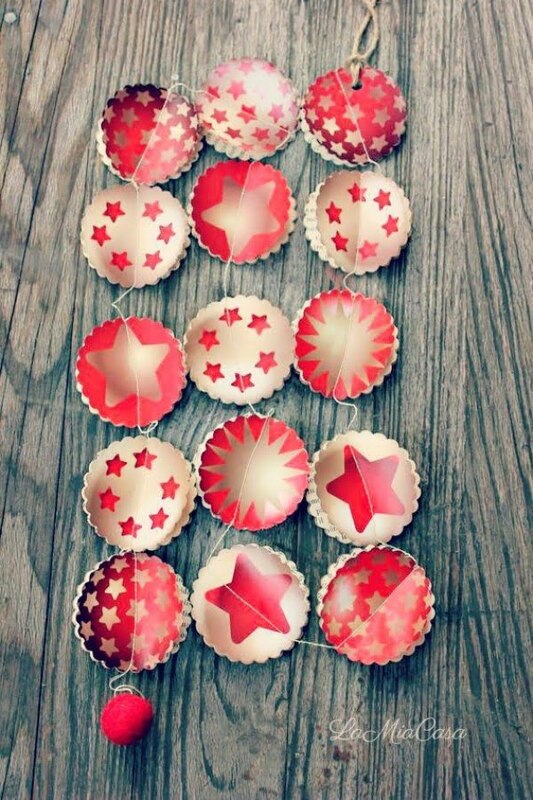 These festive ornaments add the shimmer and shine that makes Christmas magical. 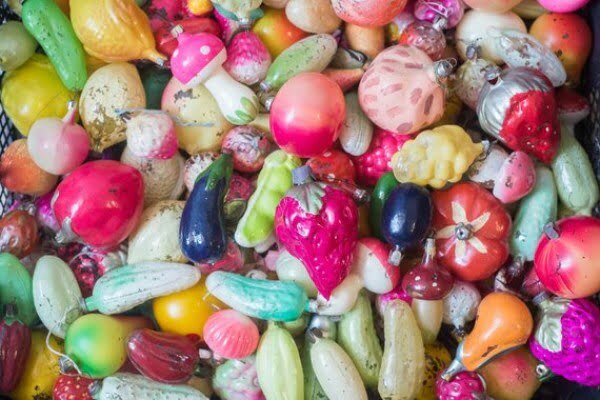 These vintage Christmas decorations are made out of glass and designed to be miniature versions of fruits and vegetables. These tiny conversation pieces will bring color, interest and visual appeal. These beautiful and seemingly delicate holiday ornaments are the epitome of vintage Christmas magic. 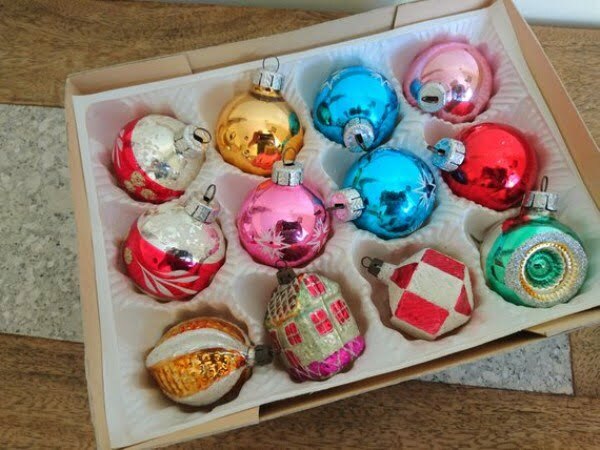 From their colors to their shapes, these tiny works of art are most definitely a great addition to other vintage Christmas décor. 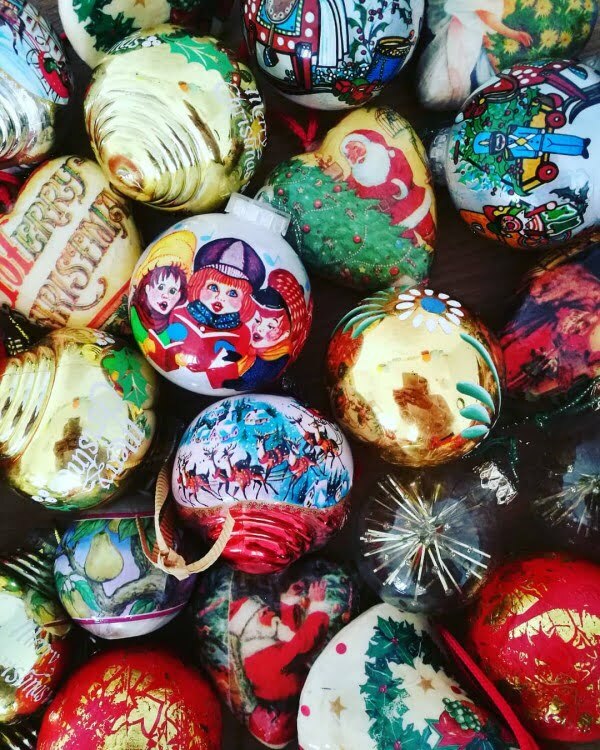 These colorful and spectacular baubles could be a great addition to just about any vintage inspired space around the home. They can bring cheer to all members of the family, regardless of age. This gorgeous piece, with its crocheted border, will fill the space it is placed in with lots of vintage charm. The joyous energy it brings to the room will be undeniable. 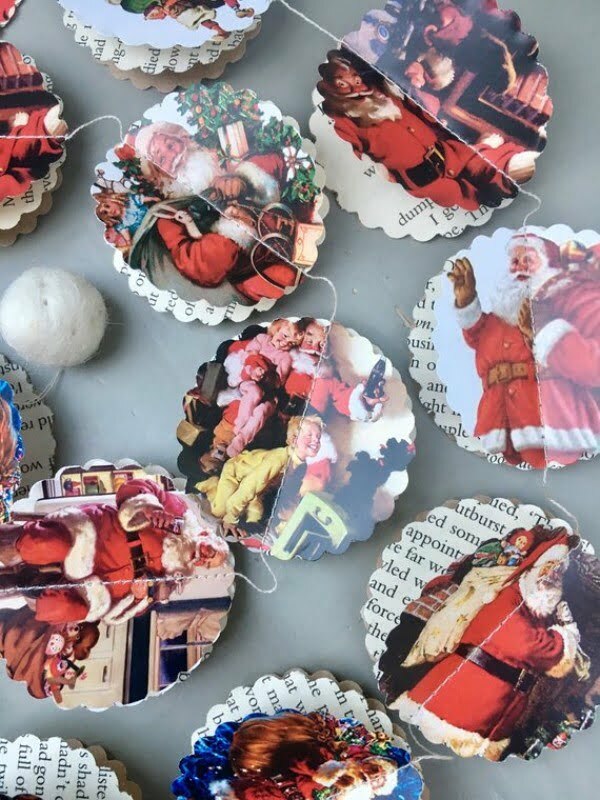 This unique and vintage Christmas ornament can be used as an inspiration to recreate and add personalized images of members of the family to the Christmas tree. These good-looking and stately reindeer are draped in red ribbon and have an adorable stance. They provide a wonderful way of bringing the spirit of Christmas past into any space in which they are placed. This 3D garland is designed to portray the spirit of Christmas. It can be used to decorate and spread Christmas joy around the home. It can also be used to make a unique gift. 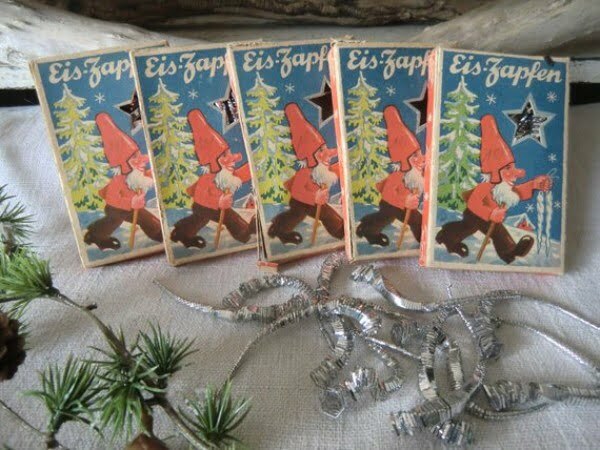 The colors and graphics of these beautiful handmade vintage Christmas decorations are sure to deliver a punch of energy to any space they adorn. This gorgeous garland exudes the joy of the season. 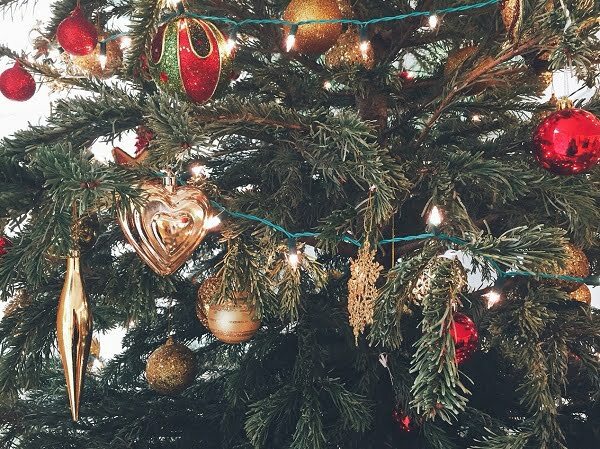 These absolutely stunning Christmas ornaments are like little gems. 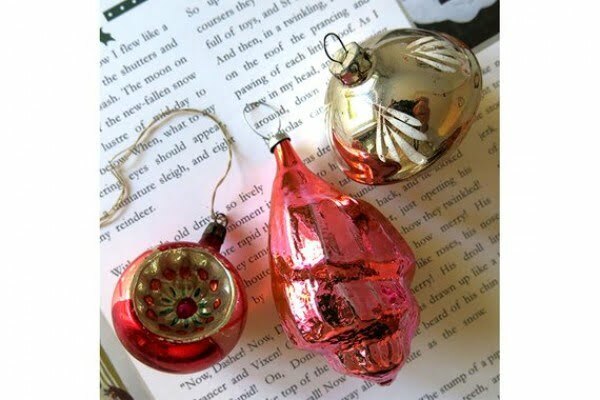 They are sure to add a beauty, sparkle, and elegance on any tree or other surfaces on which they are placed. This remarkable magazine dates back to 1963 and it has unbelievably charming graphics. 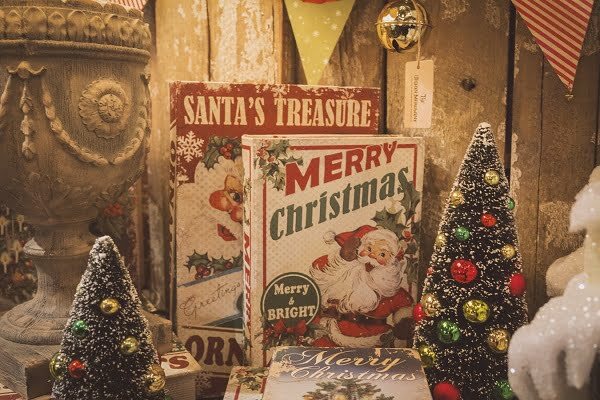 Recreating it and adding it to your space could do much to inject vintage Christmas charm into space. This Russian Top Star Ornament could provide the perfect topping for your Christmas tree. 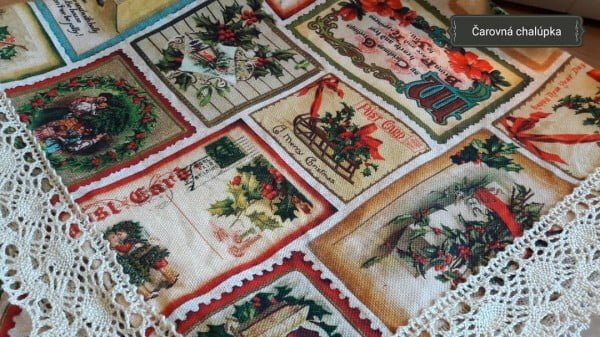 Its presence in the room is sure to add a vintage vibe and bring holiday cheer.